** This price is for 2 people, to be private trips, the price will vary according to those who make the trip. Arrival at Casablanca, meeting at the airport. 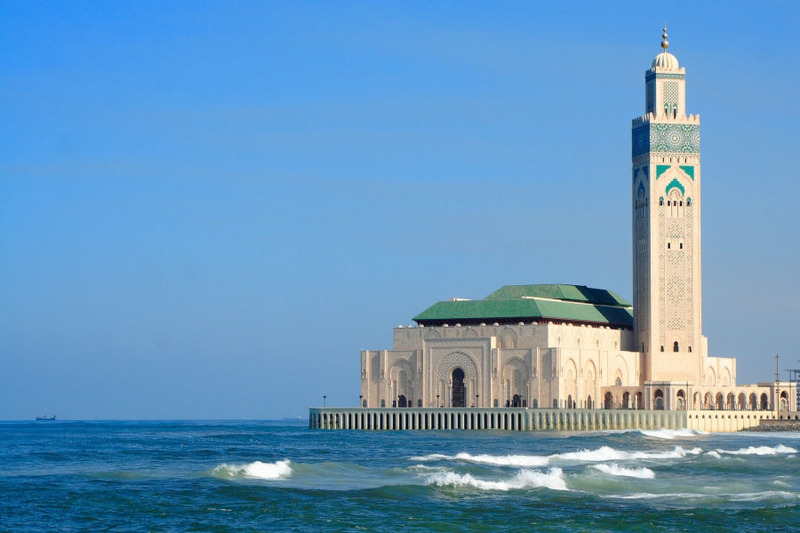 Depending on the time of arrival, you can visit the Hassan II mosque in Casablanca. Exit motorway to Marrakech. Accommodation. Breakfast. In the morning visit of the city. Guided tour of the Medina..
-Palais Bahia. The construction of the Palace of the Bay was commissioned by Ahmed ben Moussa, influential, skillful and powerful man, who was vizier (the highest position after the King) of the sultan Abdelaziz at the end of the 19th century. From a former residence that was owned by his father, and appropriating a set of adjacent houses, the vizier commissioned the work of design and construction of his palace to the Moroccan architect Muhammad al – Mekki. It is said that Ahmed ben Moussa dedicated this magnificent Palace specially to his favorite among the 4 wives and 24 concubines who were part of his harem; in fact, Bahia Palace means Palace of the beautiful or the bright. You can visit only one third of the Palace; the rest is private property of the Royal family. -Saadian tombs. Located in an enclosed garden that is located next to the Kasbah mosque, the Saadian tombs represent a beautiful real cemetery that is passed daily by hundreds of tourists. Although the building dates from the year 1557, when Ahmed El Mansour commanded to build a mausoleum over the grave of his father, with the coming to power of the Moroccan sultan Moulay Ismail decided to hide the cemetery behind a great wall. Because of this, the place was hidden for a long time, until it was rediscovered in 1917 and then restored by the fine arts and historical monuments service. -Medersa Ben Youssef. The Medersa Ben Youssef, also known as Ben Youssef madrasa, is the most important medersa de Marrakech. 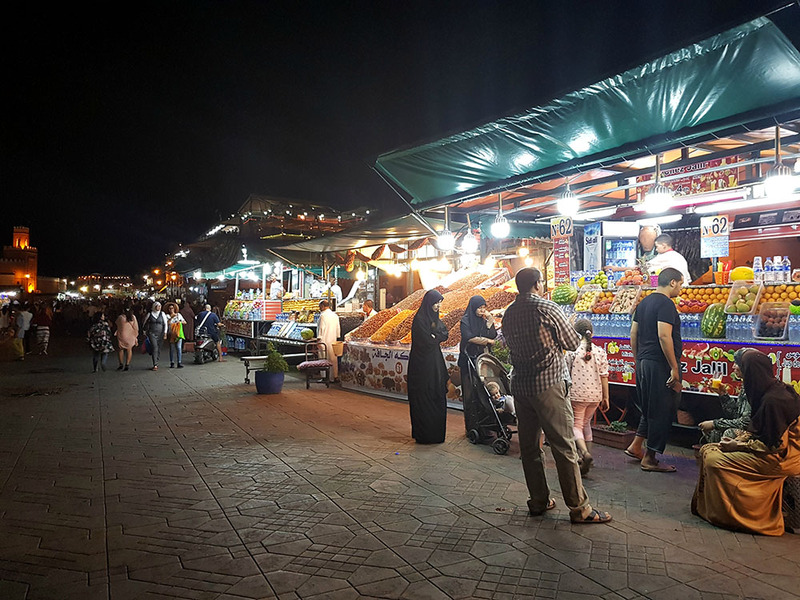 If you have no experience traveling in Muslim countries, it is likely that you may not know what is a medersa. A mosque is a school or Muslim school of higher studies. They are specialized in religious studies and in his time he acquired great prestige. 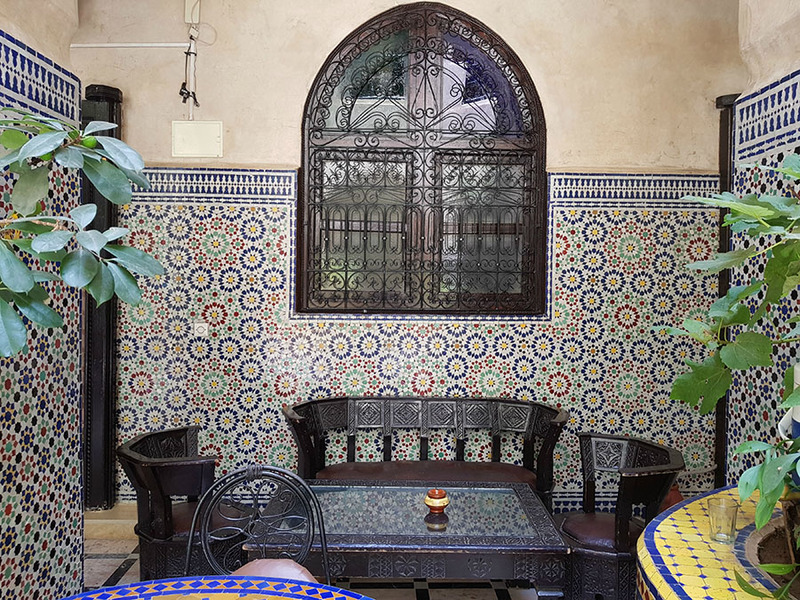 On your tour of the Ben Youssef madrasa, you will see that the building is structured around a large central courtyard with a rectangular pond. It has a single classroom, which fulfilled the functions of place of teaching and, in addition, prayer. Access to the top floor of the Medersa Ben Youssef in Marrakech, you can explore the long corridors and the Interior courtyards are distributed where 130 cells where the Koranic school students were staying. -Garden Majorelle. Majorelle gardens were created in 1924 by Jacques Majorelle, French painter who settled in Marrakech in 1919. At first the gardens served the the painter as a source of inspiration, but in 1947 were opened to the public in general. Since 1980, the Majorelle gardens are owned by Yves Saint Laurent. If you like Islamic art, you can visit a small museum in the gardens. The Majorelle gardens are gardens large enough with a multitude of different plants. The plants are divided into cacti, Palm trees, bamboo, garden plants and aquatic plants. Rest of the day free time. Accommodation. Marrakech – Ouarzazate – Agdz – Valle del Draa – Zagora. Encounter in your accommodation, and departure to Ouarzazate, passing through Tiz’n´Tichka (or the Tichka port), road more upper raised from Morocco with more than 2,200 meters above sea level, along the way enjoy incredible landscapes: during the ascent predominate green colors that will be replaced by the almost lunar landscape of the Anti-Atlas, with the desert in the background. At the end of the descent we will leave behind Ouarzazate and we will go to the city of Agdz, crossing the port of Tizi N´Tinifift (1,660 meters), a succession of steep mountains black and gray rock of unusual beauty from which we can contemplate an incomparable panoramic view of the Valley of the Draa. Little by little we will go deeper into the majestic Palm-Grove of the Draa Valley, the Palm Grove Africa’s largest with more than 150 kilometres of length, marking of kasbahs, villages and orchards. We leave the highway to take a track that will introduce us to the heart of the Palm Grove and after travel we finally arrive at Zagora, arrival point for caravans from the legendary Timbuktu. From here, and before sunset, we will go to the point where the camp of Berber tents where we spend the night. After taking a welcome tea upon our arrival and we will contemplate a sunset we will never forget. To end the day, we’ll have another wonderful experience, who will be dining in the heat of the fire. Now rest and we will do it surrounded by a huge mantle of stars, a unique and indescribable experience, which we must live. Dinner and overnight at camp of tents. Zagora – Ouarzazate – Ait Ben Haddou-Alto Atlas – Marrakech. Worth waking up early and enjoy the sunrise. After breakfast visit of the famous kasbah of Aït Ben Haddou. Kasbah is an Arabic word meaning fortress or Citadel. 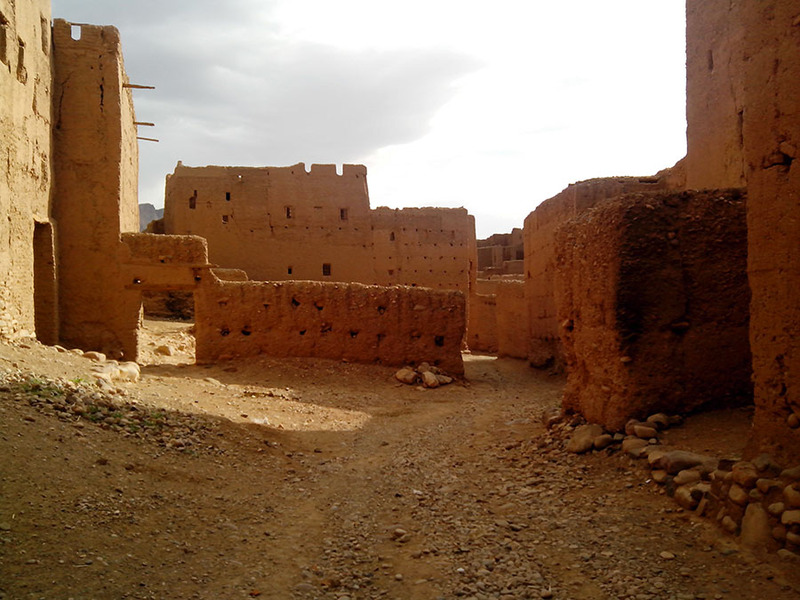 In Morocco the Kasbah most are built of adobe and many of them are in ruins. 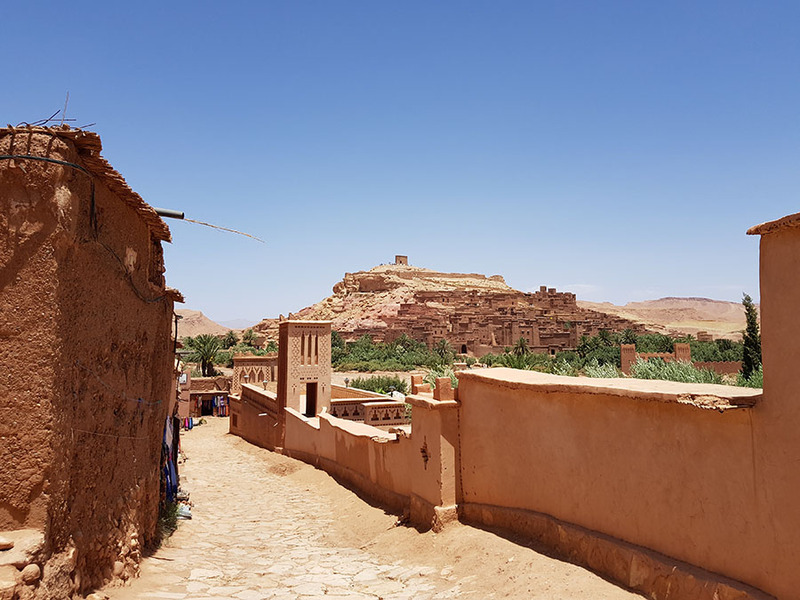 The Kasbah Ait Ben Haddou is a spectacular village of clay and stone buildings surrounded by large walls, which make it one of the most beautiful places in Morocco and obliged point of visit for all those tourists who plan to meet the North African country. This impressive building is still inhabited by a few families. It is crowned by a cliff hundred meters of altitude, where there are remains of an ancient building and from where you can enjoy a magnificent landscape. We continue our road to Marrakech, lunch on road. Arrival to the red city in the afternoon. After the breakfast departure to the airport depending on time of flight. 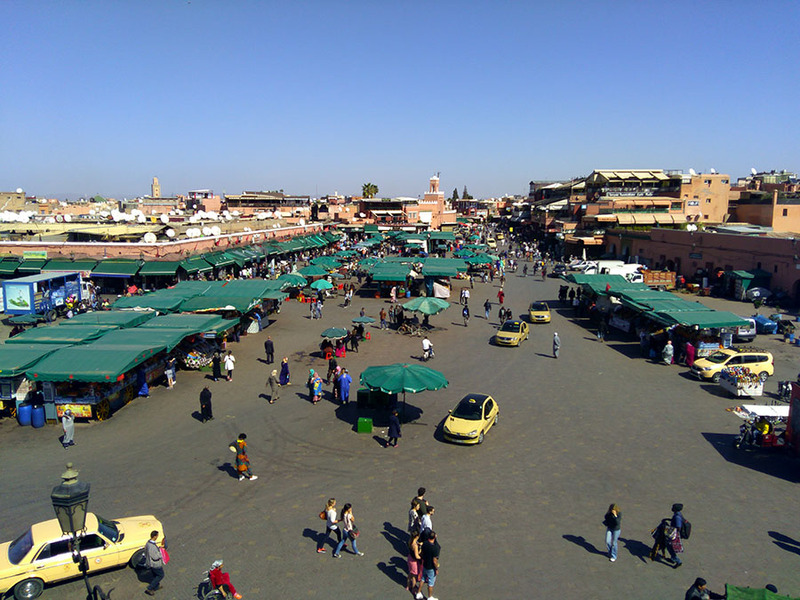 Meeting in Marrakech, pick up at the airport and transfer to the hotel, also transfer from Marrakech airport at the end of the trip. Full Board during the route to Zagora, (roundtrip). Accommodation 1 night in tents, (Zagora). Accommodation 3 nights in Marrakech, (with breakfast). Walk on camel to reach the camp. Water at the two-day route to the desert. Transfers during the trip in 4x4. In Marrakech lunch and dinner for the client's account. Does not include tickets to monuments or gratuities. Flights on behalf of the client.